Try this: Walk into an IT team meeting sometime and ask, "Hey! Who wants to talk about software license management?" Then stand back and watch as everyone flees the room. 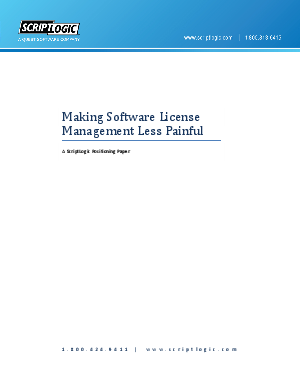 Nobody likes to talk about license management. We have to, but nobody likes it. It's a painful, difficult topic that sometimes feels more like double-entry accounting than like actual technology. But there are obviously huge legal and financial risks of not being up-to-date on licensing, so we just have to deal with it. In this whitepaper, we will discuss why no one likes asset management, what tools are and are not helpful and why you need to tie assets back to contracts.